Unparalleled ocean views, world renowned accommodations and an endless list of unique places to explore have always been a given on this Classic Coast. Luckily for us (and you, too!) that&apos;s just the beginning. With each new year, we look forward to the return of our favorite tried-and-true events. You know the ones - Newport Winter Festival, Newport Flower Show, Newport Polo, Newport Folk Festival - the ones you cross the days off on your calendars in anticipation for each year. Admittedly, we do just the same. 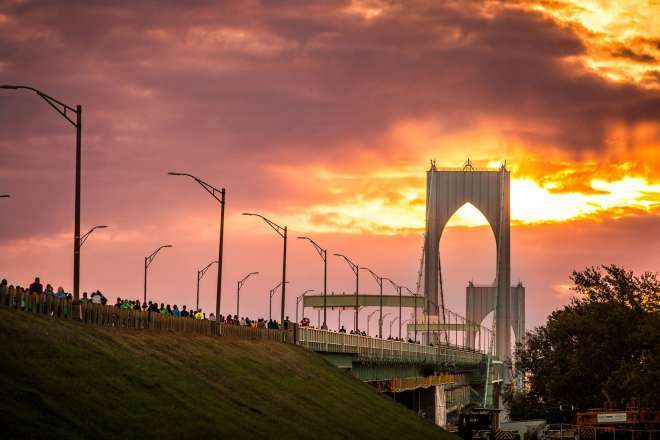 Here&apos;s the 2019 lineup of all your favorite Newport RI events. Every New Years Day at precisely 12:00 PM, participants run into the winter waters at Easton&apos;s Beach, some dressed in costumes, some as part of teams and some in their bathing suits pulled from their stock of summer threads. 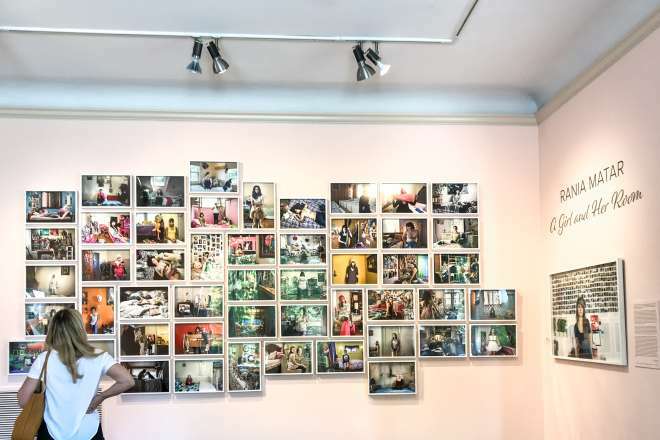 The efforts are partly for fun, believe it or not, and partly for a good cause. The plunge raises money each year for the Make a Wish Foundation, comprised of tens of thousands of volunteers, donors and supporters who work to grant the wish of every child diagnosed with a life-threatening medical condition. January is a time to refresh and renew. 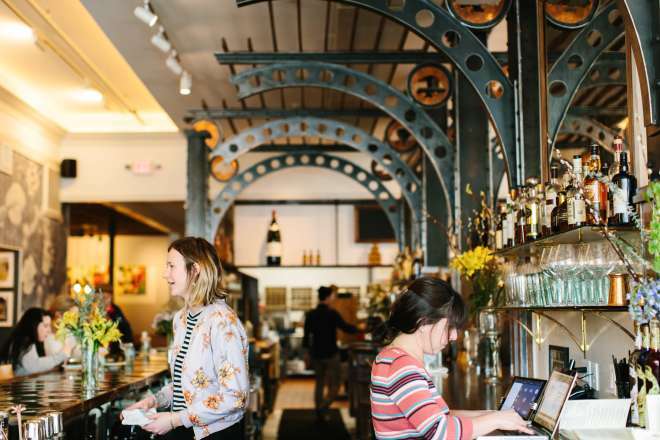 Newport Wellness Week brings delightful events, experiences and deals throughout the city tailored to help you become the best version of yourself. From yoga and pilates classes to meditation, nutritional cooking classes, health and wellness lectures and more, you&apos;ll feel brand new come the end of the month. 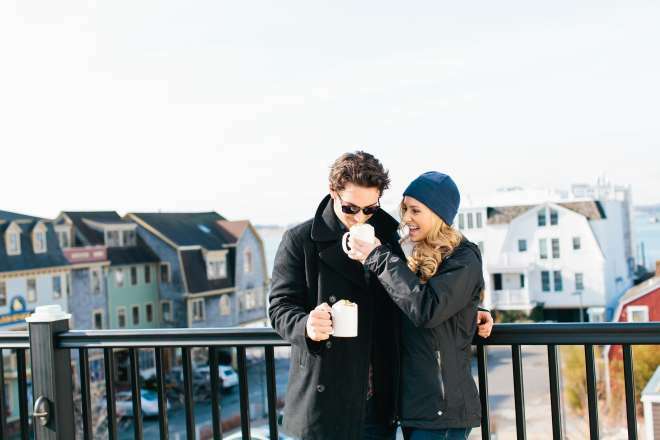 Touted as New England&apos;s Largest Winter Extravaganza, the Newport Winter Festival features 10 days of non stop music, food and fun. Featuring more than 150 events, the festival offers a unique winter experience combining food, festivities, music, and fun for all ages. Highlighted events include the Chili Cook-Off, Princess Party and exciting, fun concerts by the Jimmy Buffet tribute band, Changes in Latitudes and more. Unfolding in tandem with the Newport Winter Festival, Newport Burger Bender is a simple "best burger" contest throughout Newport and Bristol counties. Participating restaurants toss their buns into the ring with the hopes of being crowned the best burger. Try one. Try some. Try them all. Then vote for your favorite. Bonus: You’ll be automatically entered to win one of many daily giveaways throughout the Burger Bender contest. 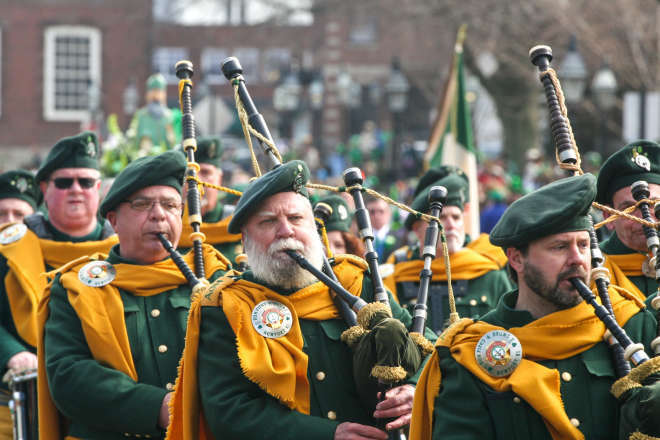 A month-long celebration of Irish history in Newport featuring a schedule of events hosted by the Newport Irish Heritage Society including folk dancing, a community breakfast, the Newport St. Patrick&apos;s Day Parade and more. The Annual Newport Saint Patrick&apos;s Day Parade will be held, rain, snow, or shine beginning promptly at 11:00 AM from Newport City Hall and proceeding to Carroll Avenue at Saint Augustin’s Church in the heart of the Fifth Ward. The parade includes Pipe Bands, Marching Bands, Fife & Drum Corps, Clown Units, reenactment units, and a host of local, state, and regional organizations including police and fire units, social/fraternal organizations, Boy Scouts, Girl Scouts, Schools, and non-profits. Each April, tens of thousands of daffodils trumpet the arrival of Spring at Blithewold Mansion in Bristol. 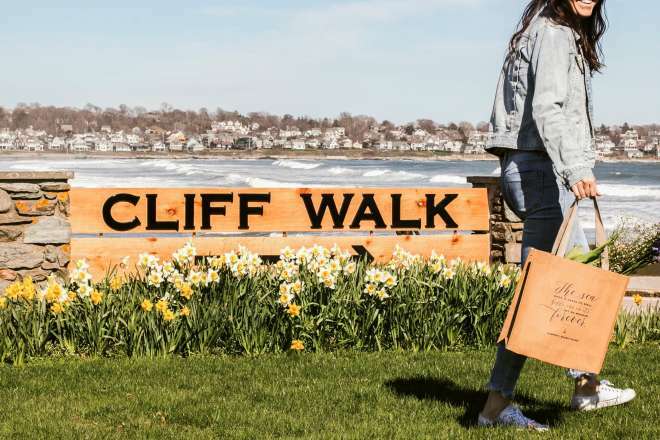 The well-known daffodil display blankets the 33-acre seaside estate with more than fifty thousand daffodils. 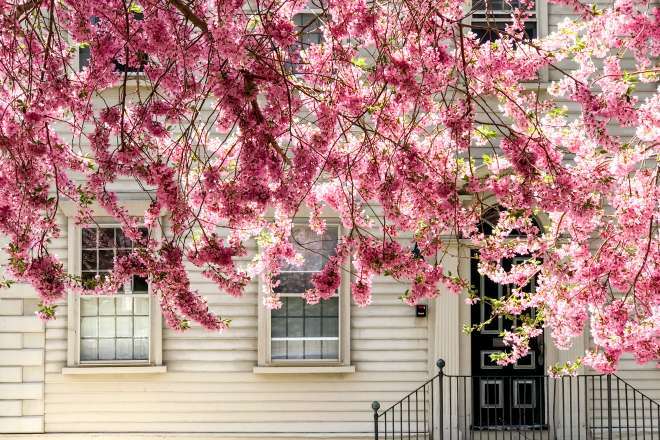 Meander the blossom-filled mansion grounds for an enchanting experience. 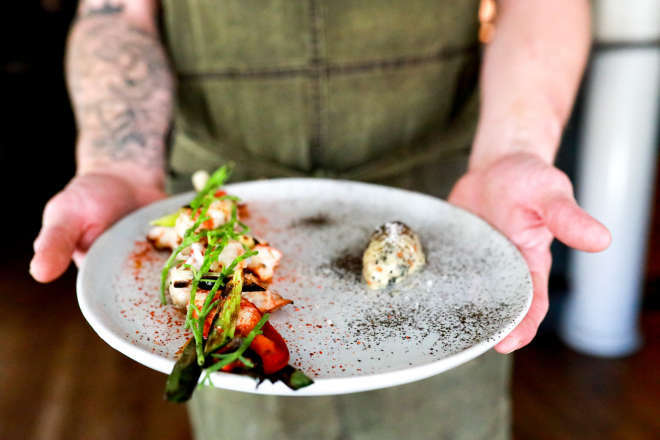 Local chefs and mixologists from more than 55 local restaurants will craft seasonal dishes and libations incorporating hand-selected ingredients. 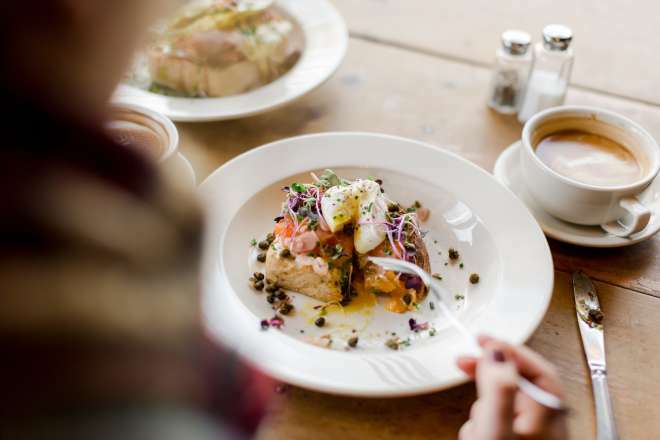 Cuisines include everything from seafood and contemporary American to west coast Mexican. 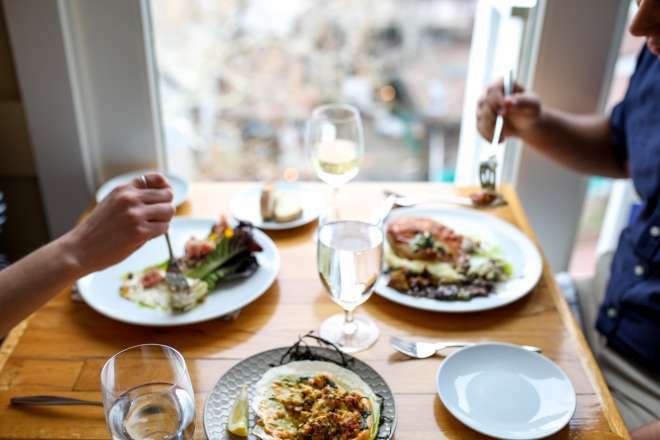 Savor two-course prix-fixe lunches for $20, three-course prix-fixe dinners for $35 or three-course premier menus for $50. *Prices subject to change. 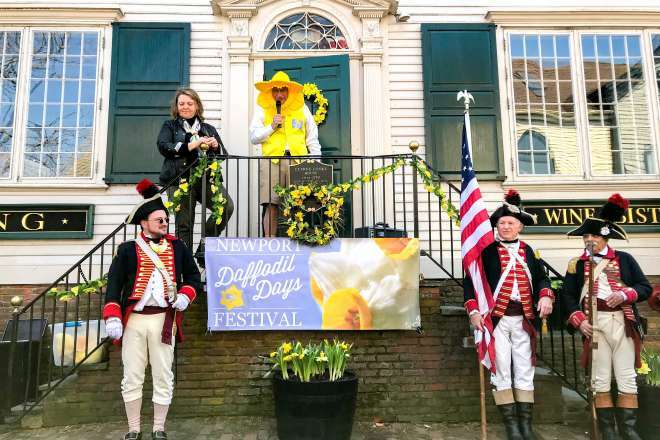 Featuring nine days and more than 20 festive, family-friendly events amid one million daffodils throughout the city, Newport Daffodil Days celebrates the arrival on spring. 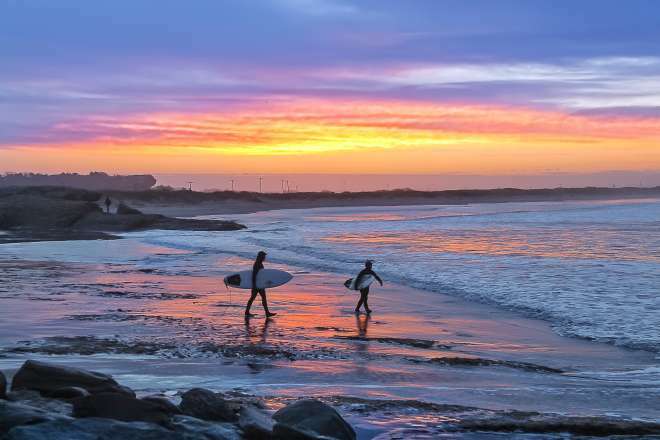 From a Daffy Doggies Parade and painting among the daffodils to private garden tours to festive parties, revel in one of the most vibrant times on the Classic Coast. 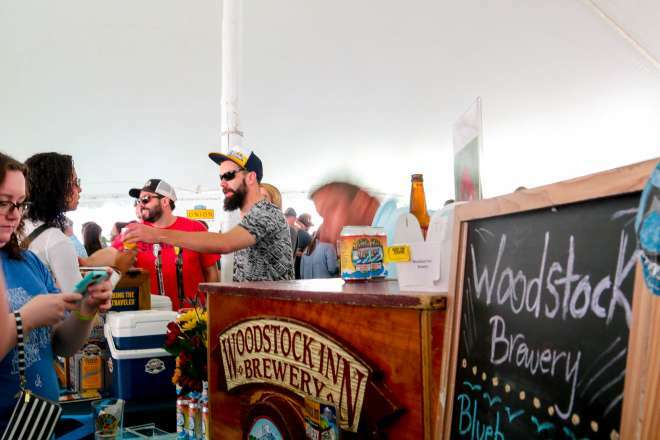 Newport Craft Beer Festival offers two days of taste-testing, live music and local flavors from area breweries and restaurants. Savor carefully crafted brews from 35 of the nation’s top breweries with more than 200 beers. 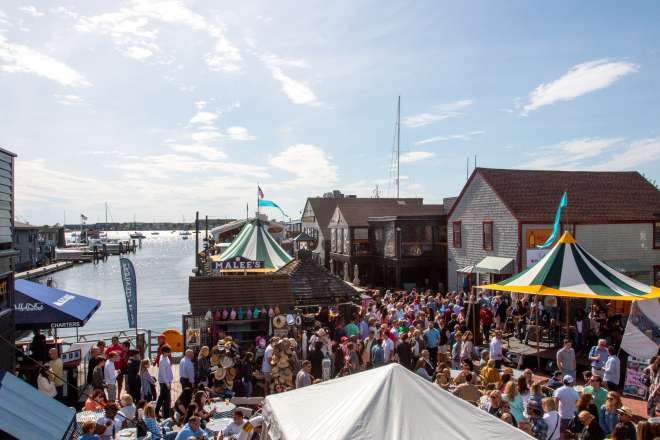 The Newport Oyster Festival connects Rhode Island growers with the oyster-loving public, as well as the chefs and restaurants that serve them. Sponsors, growers, non-profits and exhibitors are on-site during the Festival to educate and provide opportunities to enjoy the bounty of aquaculture in Rhode Island. Kick off the 28th season of the Newport International Polo series offering action-packed matches every Saturday through September. Watch as all-star lineups of international competitors take the field. Experience a tailgate party for the optimal experience, or plant your seat in the lawn and relax. Just don’t forget to help stomp the divots! Indulge in the beauty of classic British motorcars from across New England and participate in exciting events like the Scenic Back Roads Rally, Friday Night Street Party, British Attire Competition, Tailgate Competition, and many more. Newport Flower Show celebrate its 24th year with a variety of special events, expert guest speakers, beautiful floral designs, impressive horticulture exhibits and more. Meander stunning garden displays alongside unique shopping opportunities and opulent floral designs throughout the grounds of Rosecliff Mansion. The oldest Fourth of July parade celebration in America will step-off at the corner of Chestnut Street and Hope Street at 10:30 AM. Enjoy more than sixty classical concerts featuring unique chamber music, American debuts, world-class artist and special events held in Gilded Age mansions and other venues. The 12 Metre World Championship in July will be the largest-ever gathering of historic 12 Metre yachts in the country. The regatta will host 24 teams from seven countries including five yachts that have successfully defended the America’s Cup: US-16 Columbia (1958), US-17 Weatherly (1962), US-22 Intrepid (1967 & 1970), US-26 Courageous (1974 & 1977) and US-30 Freedom (1980). 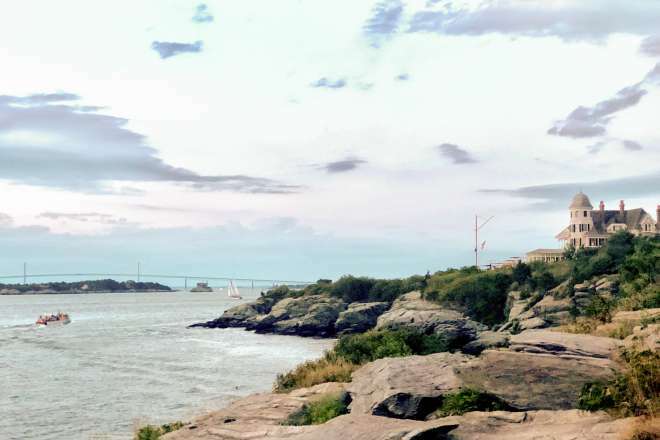 For some extended racing excitement beyond the Worlds, New York Yacht Club has invited the 12 Metre Class to participate in a “12 Metre Jubilee” at its 175th Anniversary Regatta (July 15-20). A Festival celebrating the friendship between Newport and their sister city Shimoda, Japan offering a variety of events emphasizing both Japanese art and culture. Game, set, match! Hot off Wimbledon, the top ATP World Tour pros make their way to Newport to compete in the Hall of Fame. Contested on the historic grass tennis courts of the International Tennis Hall of Fame, which have hosted all the legends of the sport since 1880, the tournament is the only event played on grass courts outside of Europe, and it offers the only opportunity to see professional men&apos;s tennis in the Northeast prior to the US Open. 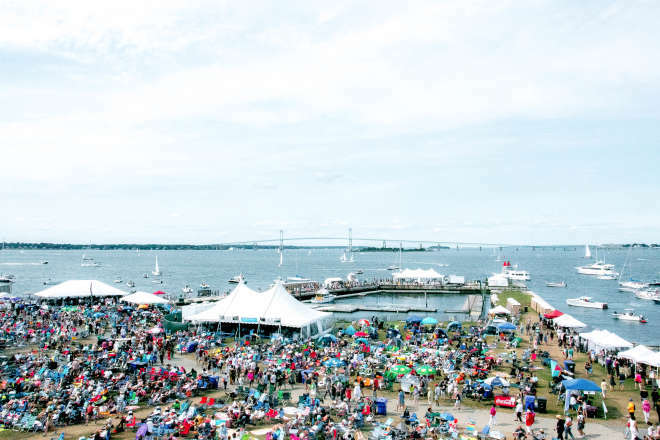 A local live music and music education festival that “bridges” the gap between the prestigious Newport Folk and Jazz Festivals for a continuous 10 days of music in our community. Newport Jazz Festival began back in 1954 as the first outdoor music festival of its kind completely and utterly devoted to Jazz. That year brought big names in the genre like the famed Billy Holiday and Ella Fitzgerald. Ever since, the festival has produced some of the most influential performances in jazz history, from Miles Davis&apos;s 1955 solo on "&apos;Round Midnight" and the Duke Ellington Orchestra&apos;s lengthy 1956 performance of "Diminuendo and Crescendo in Blue." 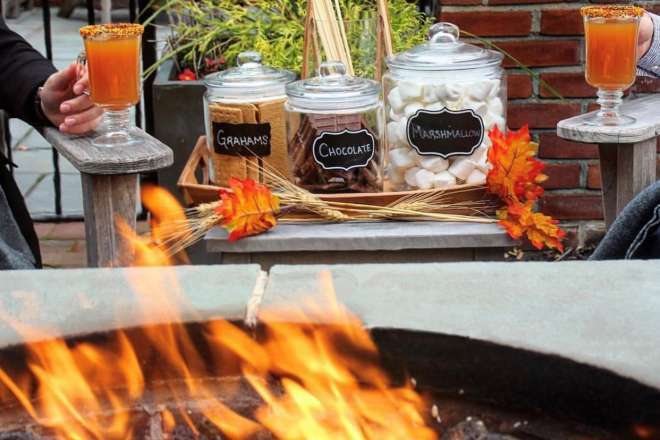 The Newport Mansions Wine & Food Festival returns to the spectacular Marble House lawn with special events, celebrity appearances and a two-day Grand Tasting with the chance to sample hundreds of wines from around the world and cuisine from nearly two dozen local restaurants and caterers. Newport’s extensive automotive history dates back as early as the Gilded Age. The first American car race, the Vanderbilt Cup, took place in this historic area. Given it’s rich motoring history, Newport is the premiere destination for a Concours & Motor Week. Beautiful, historic mansions and the seemingly endless Atlantic Ocean provide the most elegant of backdrops. Audrain’s Newport Concours & Motor Week will be a celebration of the automobile, uniting enthusiasts from around the world. An autumn ritual for generations of families, this beloved old-fashioned fair offers something for everyone featuring children’s crafts and games. Talented crafters and artisans sell their beautifully created items, enticing fair-goers to get a jump on holiday shopping. 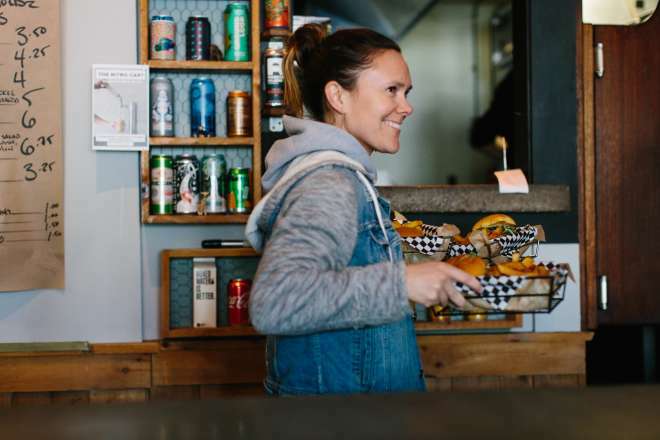 Local food and beer vendors offer an array of appetizing selections, while an impressive line-up of musicians round out the festive atmosphere. Rhode Island’s only stand-up comedy festival returns with local and nationally known comedians at multiple venues throughout town. 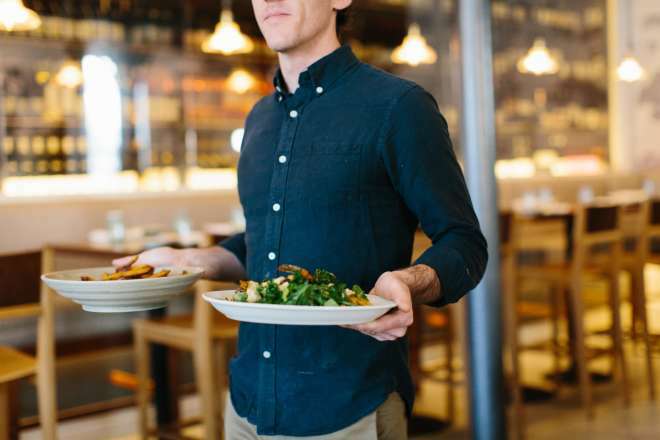 Savor your way into autumn with an array of fresh, local seafood including fish tacos, lobster rolls, fried calamari, oysters, signature cocktails and cold beer. Sit along the harbor and enjoy live music and family fun beneath the Wharf&apos;s festival tents. 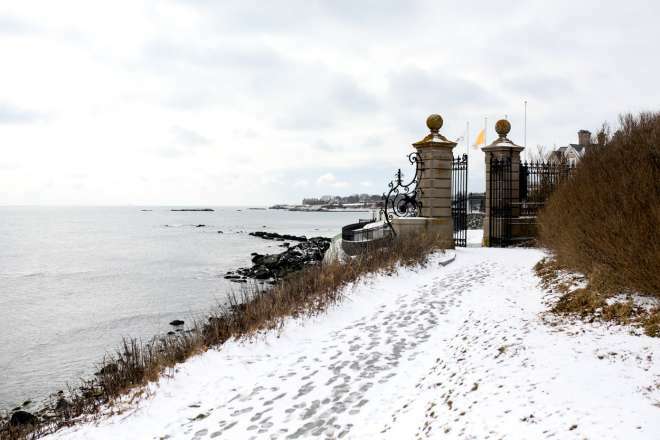 The decadence of Newport&apos;s Gilded Age mansions meets the sparkle and magic of Christmas during the return of Christmas at the Newport Mansion. Wander three mansions, the The Breakers, The Elms and Marble House, dripping in 25 enchanting Christmas trees, a floor-to-ceiling poinsettia tree, hundreds of fresh flowers, evergreens and elaborate ornaments. Each year, this historic estate transforms into a sparkling display of Christmas magic to celebrate the season. 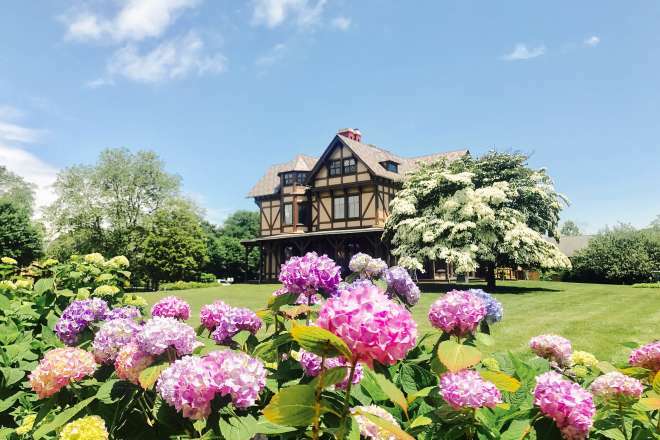 Volunteer decorators contrive a new theme each year that explores the interests of the Van Winkle family, the previous mansion owners, during the late 19th and early 20th centuries. 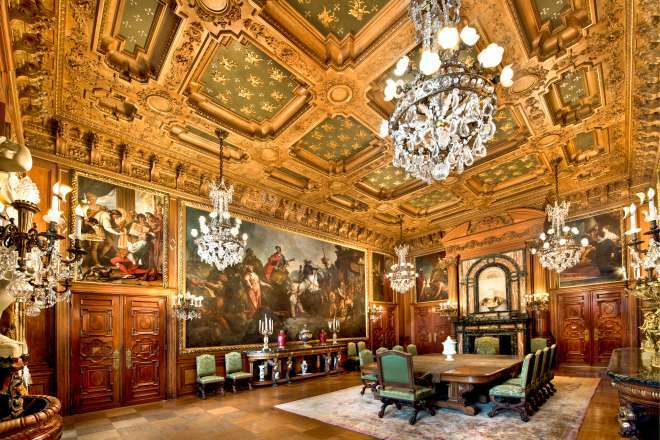 Wander the elaborately decorated rooms and enjoy a glimpse into the family&apos;s Christmas and New Years traditions. 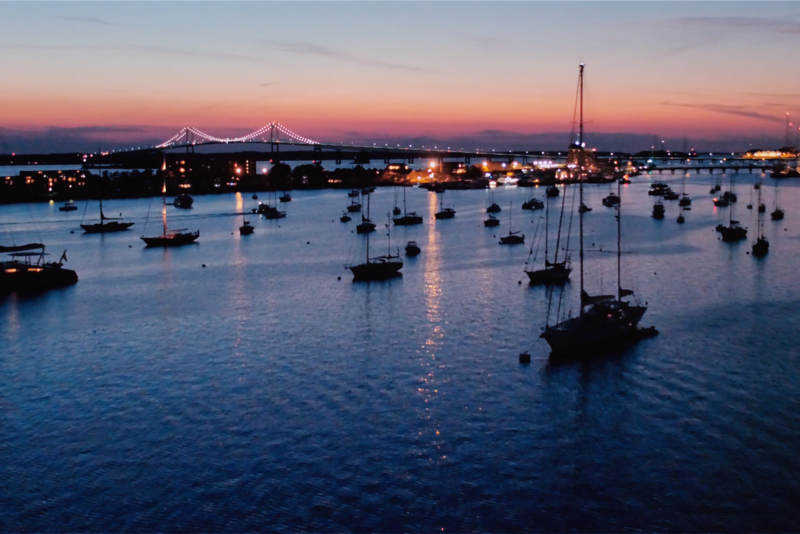 Each year since 1971, December 1 has marked the kick off of Christmas in Newport, a month-long celebration complete with festive events and happenings to honor the season and give back to charities throughout the community. Experience events for nearly each day throughout December as part of the celebration. 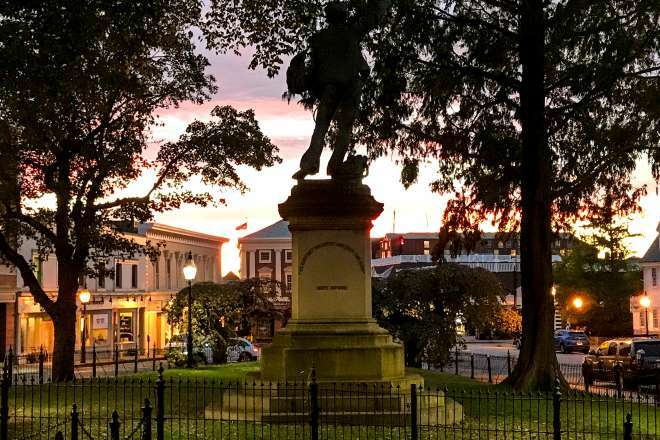 Visit DiscoverNewport.org for a complete list of events and activities. Subject to change.